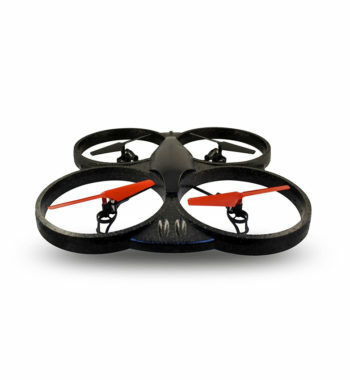 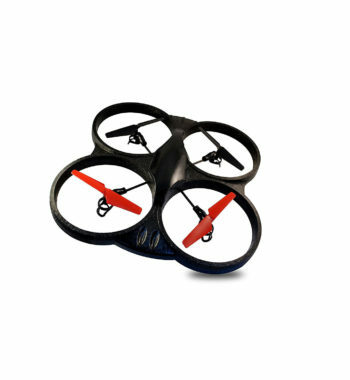 The Ematic Nano Quadcopter Drone With 2.4GHz Control And 6-Axis Gyroscope make flying simple. 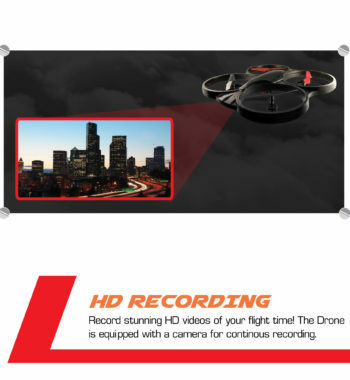 Record stunning HD videos while flying. 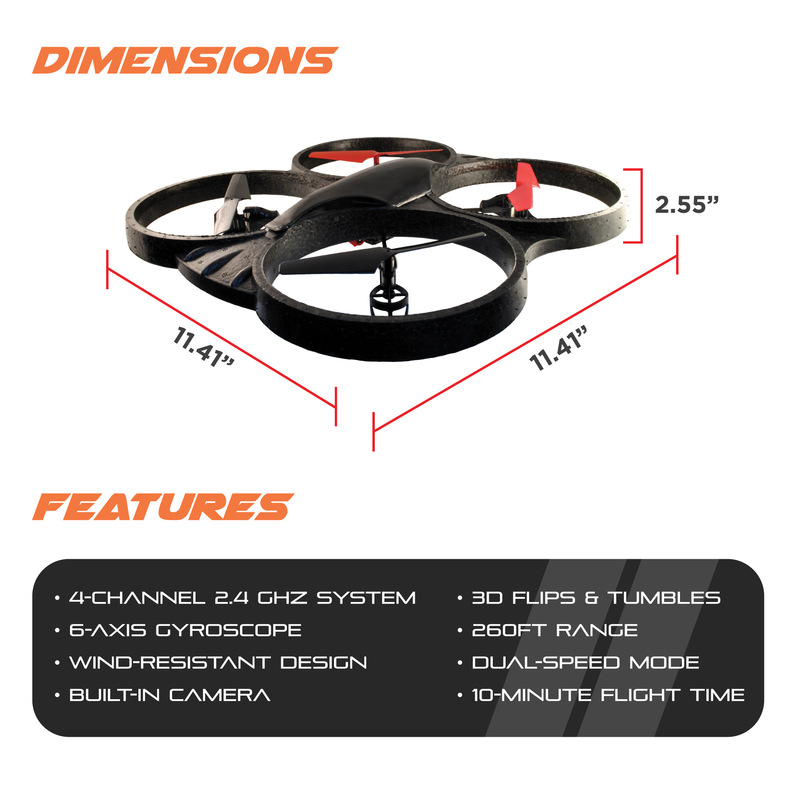 Your drone with HD camera can perform flips and rolls with the press of a button and fly from up to 260 feet away. 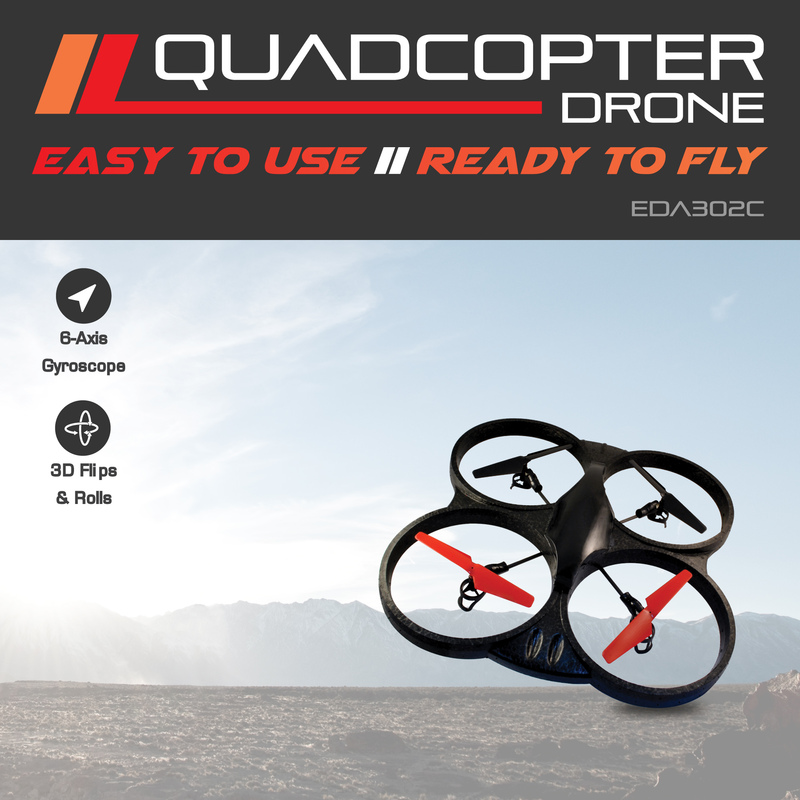 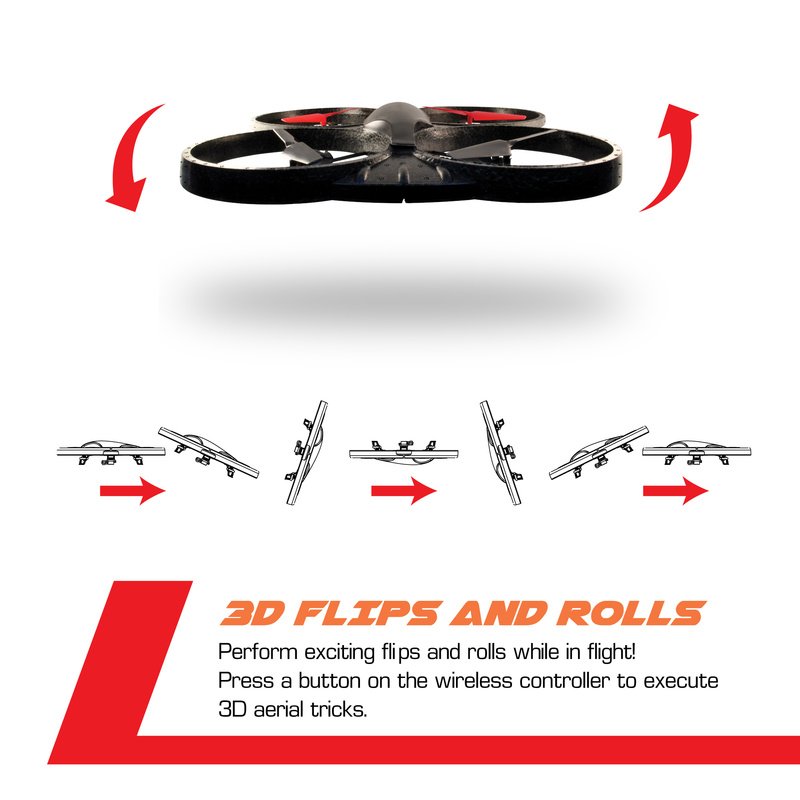 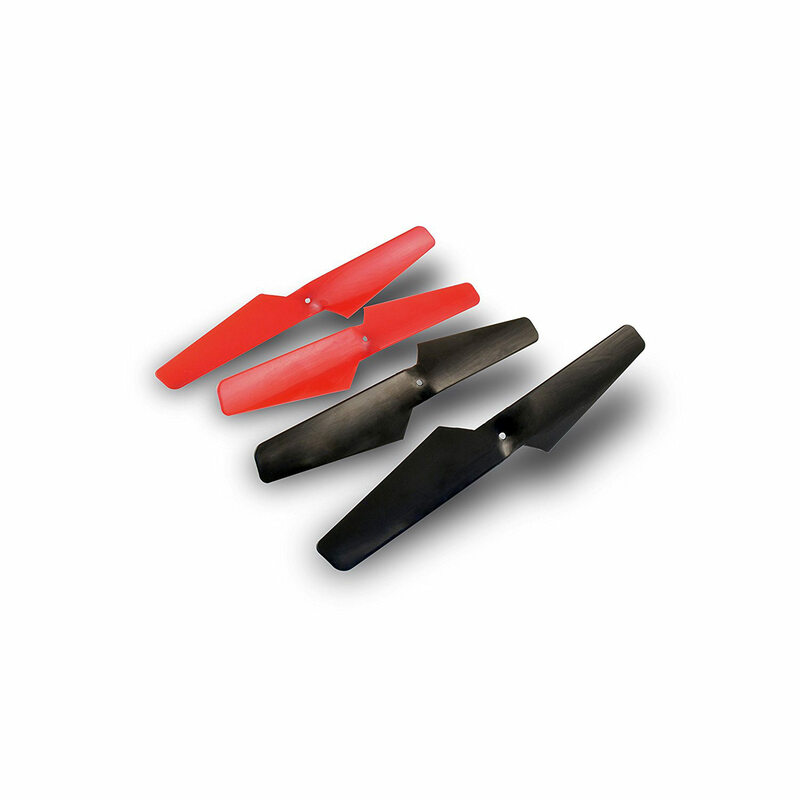 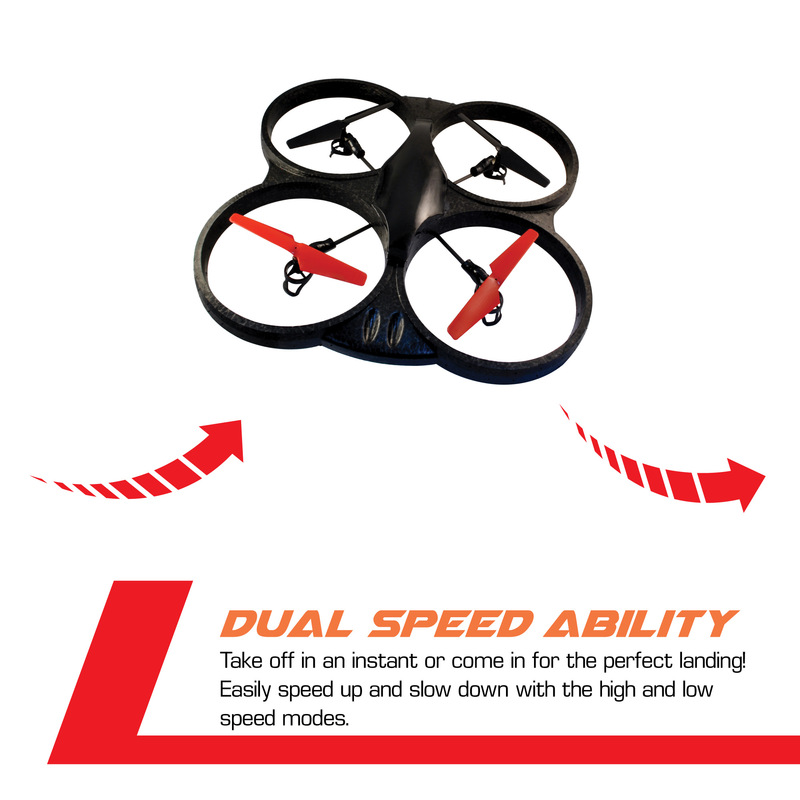 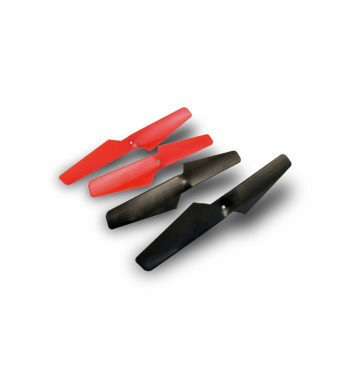 The six-axis gyroscope ensures a stable flight. 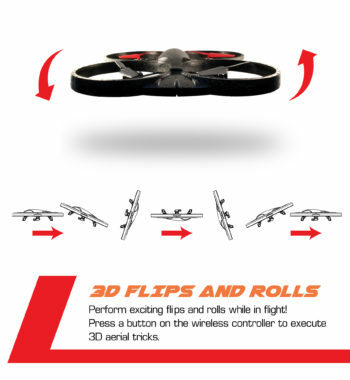 It features a four-channel wireless controller with both high-speed and low-speed modes. 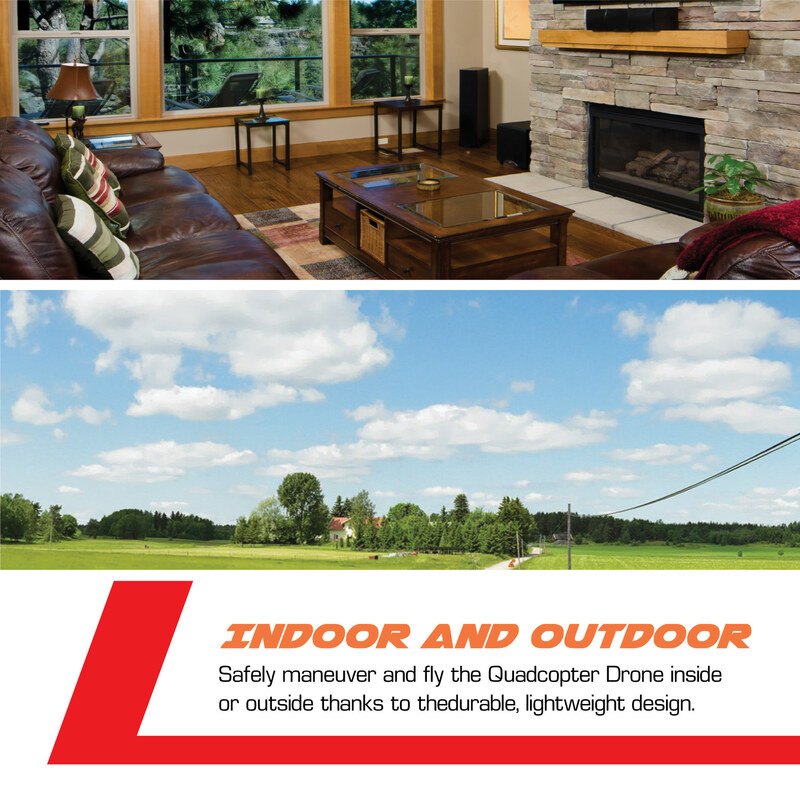 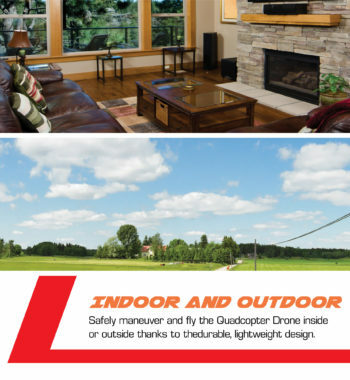 Safely fly the Ematic quadcopter drone inside or outside thanks to its durable, lightweight design. 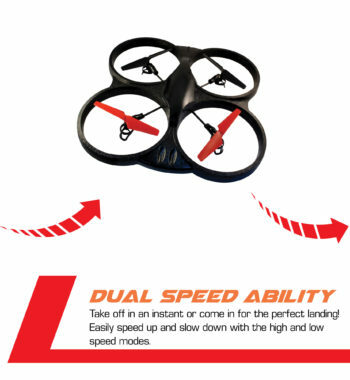 It is recommended for ages 12 years and up. 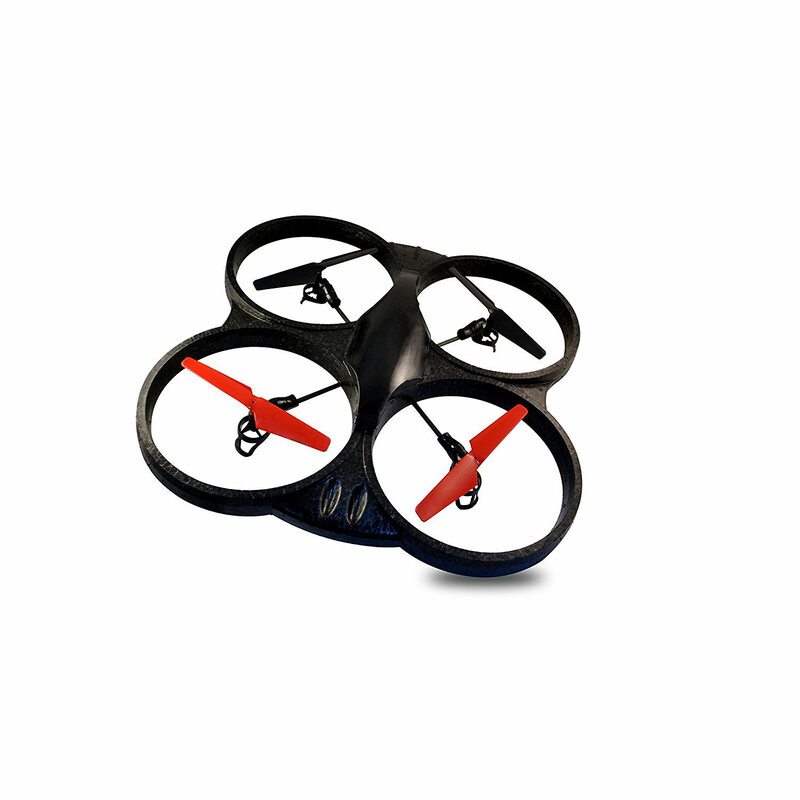 Gather your friends or family and head to the park, beach or backyard and have fun flying your drone. 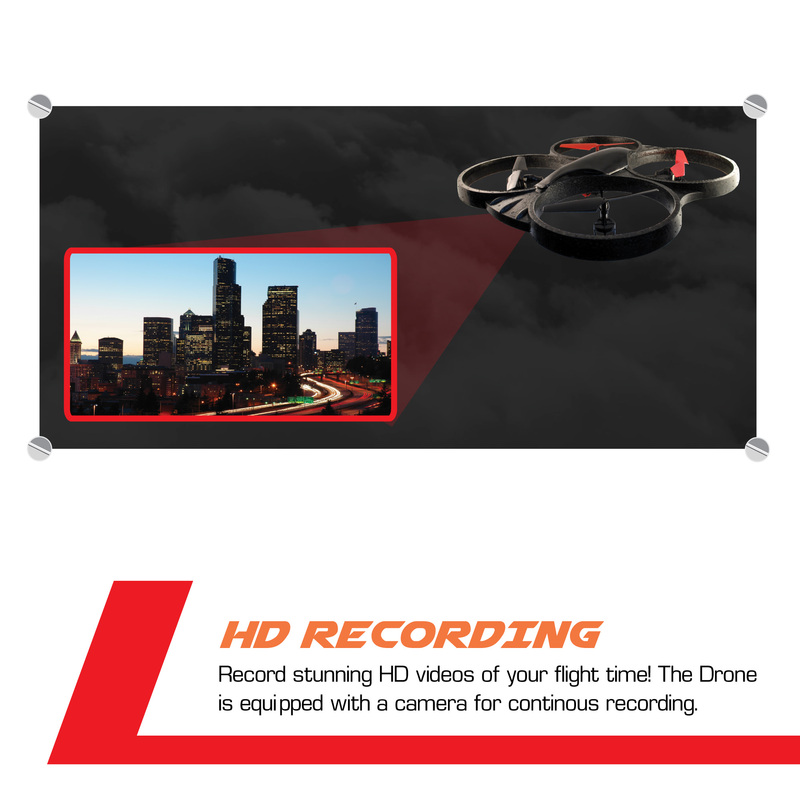 Create memories with the high definition aerial photos. 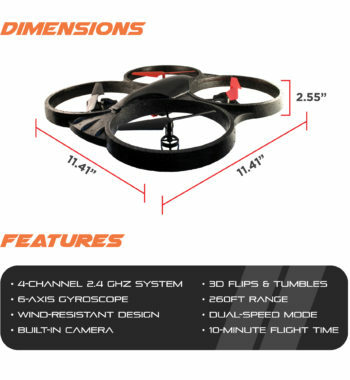 The flying time of the Ematic Nano Quadcopter Drone With 2.4GHz Control And 6-Axis Gyroscope is approximately 10 minutes and includes a rechargeable battery as well as a USB charger and 8 spare propellers. 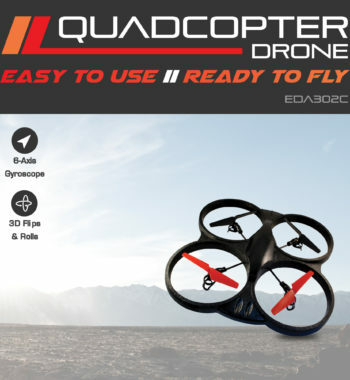 This product may require registration with the FAA prior to operation.